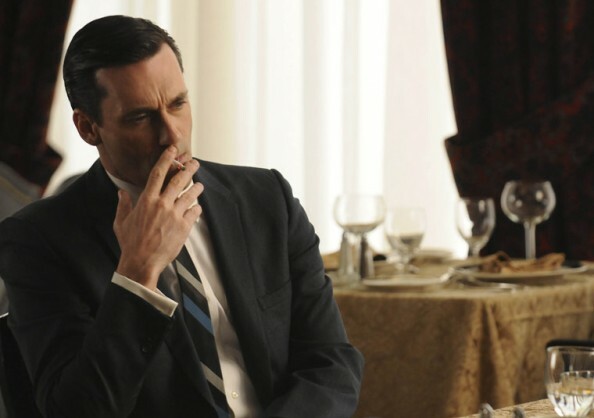 Besides all the advertising, drinks and Don Draper, the 1960s drama Mad Men features a set of gorgeous outfits, which underline so well the spirit of the time, the habits from the corporate world, and complete the sparkle of some characters. 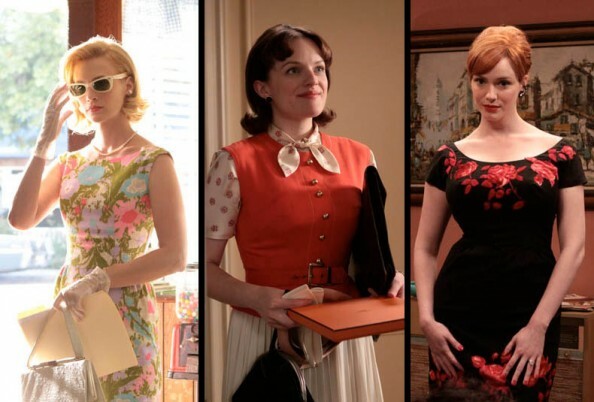 Either we’re talking about a primary character, a secretary or just an episode apparition, the clothing, matching of colours, fabrics and cutting sure contribute to the charm of the pieces presented in the “catwalk” of every Mad Men episode. 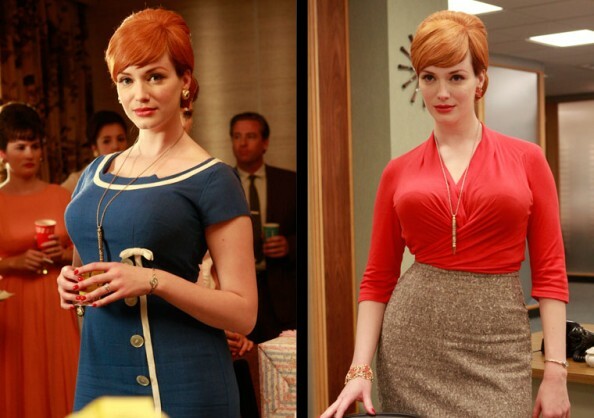 Responsible for the costume design in the TV show is Janie Bryant, who really did her best in reviving the 1960 Madison Avenue Advertising atmosphere. Betty plays the role of the respectable yet fashionable housewife. Her outfits range from classy and simple dresses, to the elegant appearances that explain so well her comparison to Grace Kelly. Even when in some non-feminine situations, she still looks perfect, either she’s wearing a simple sweater or a coat. 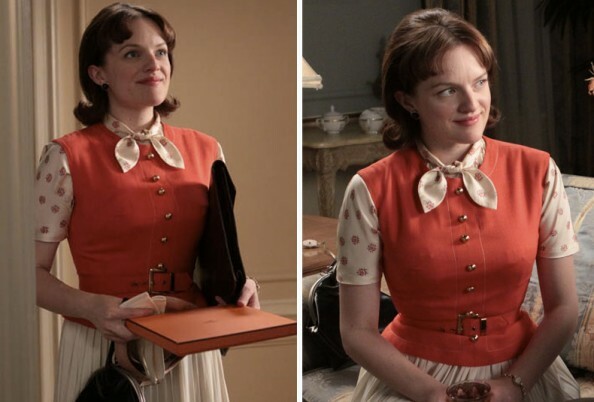 Joan is like the cherry on top of the cake in each episode just by her simple appearance. The word best describing her are curves, and she’s not afraid to emphasize those curves in each piece of clothing that she wears. However she keeps a decent and modest look, combined perfectly with the sensuality and the fatal looks in the experienced – secretary role that she plays. 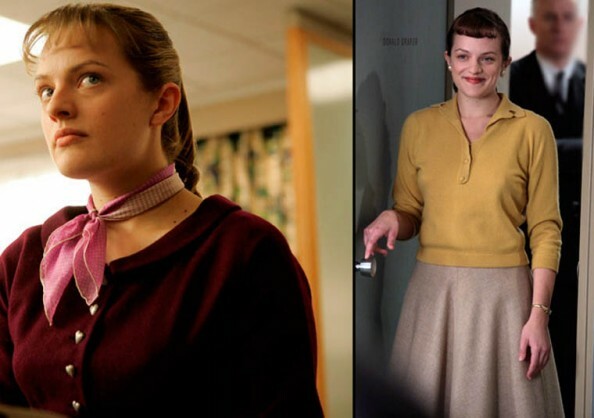 Peggy is the perfect example of the hardworking, sincere and naive girl, who enters the scenes of Mad Men dressed like a little girl, with oldfashioned cloths. She evoluates eventually to a look that shows her slim body, but still keeps some of that innocence air throughout her appearance. 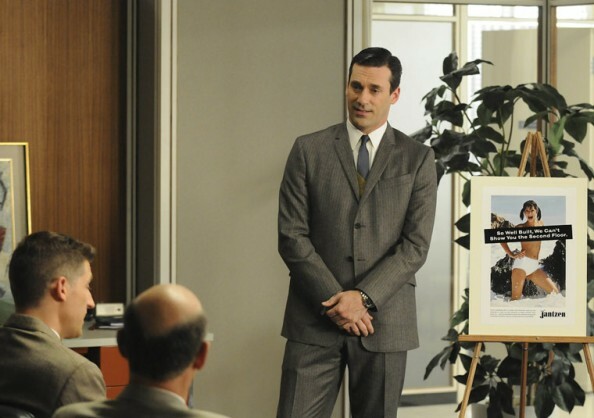 I think that the perfect cut of Don’s suit is one of the elements that make people to buy his ideas. Always the same irreproachable, swell look combined with the charm of an ad man. Photos from the AMC Photo Gallery.